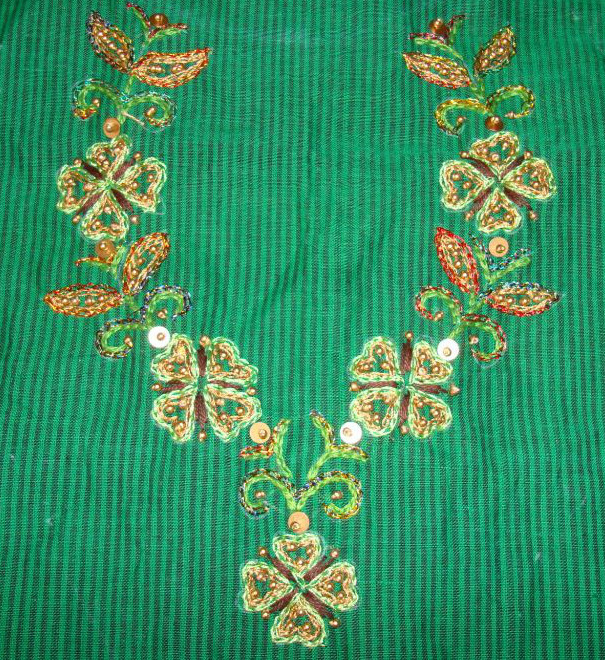 The yoke after completion with beads and sequins. 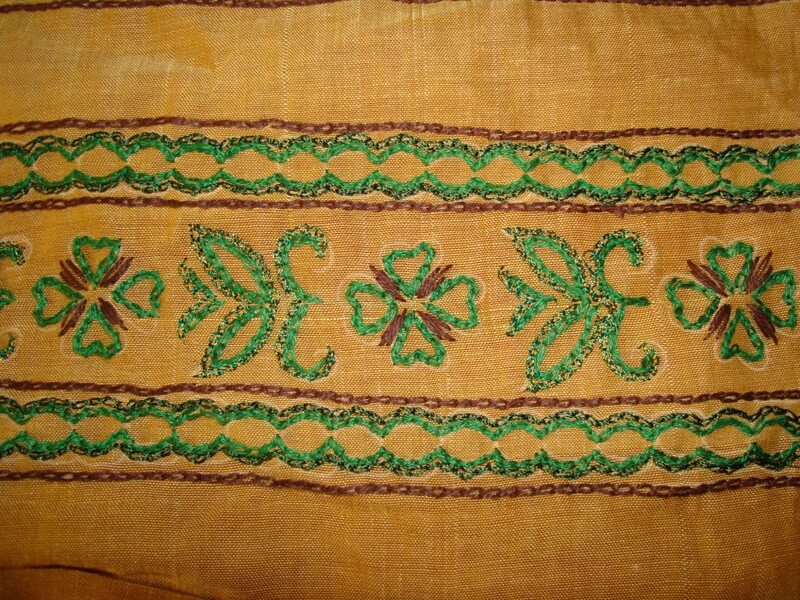 I wear this tunic with same yellow fabric of the borders. 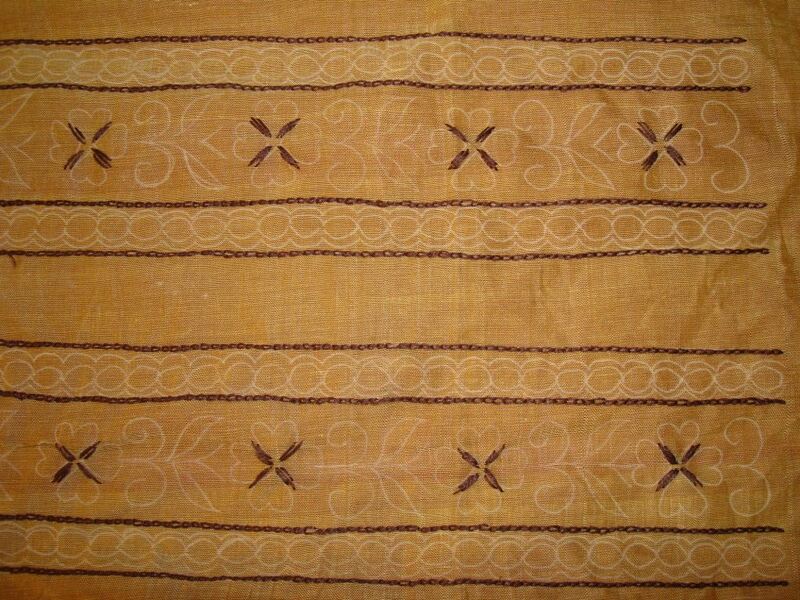 This kind of colour combination is typical of south Indian silk sarees. I love this tunic and enjoyed working on this. 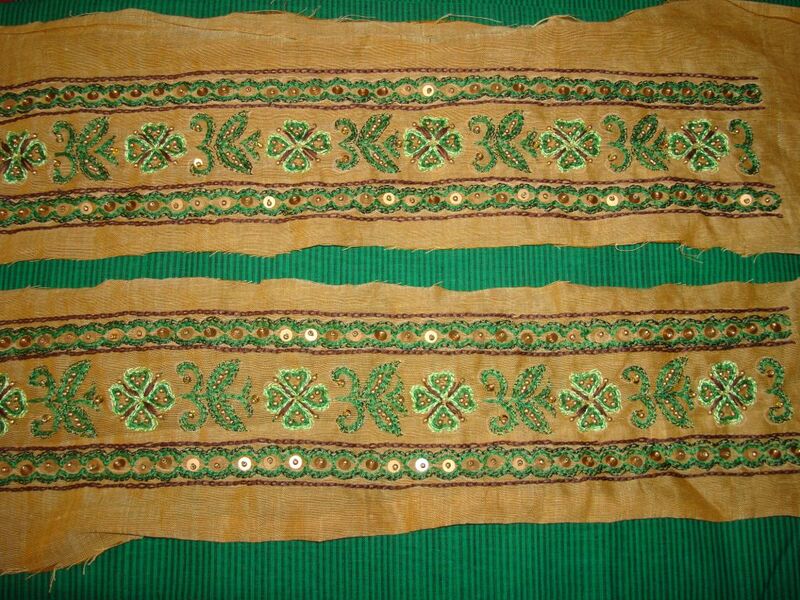 Sequins and beads were added to the outer borders worked in chain stitches. The borders are completed and were placed on the tunic . 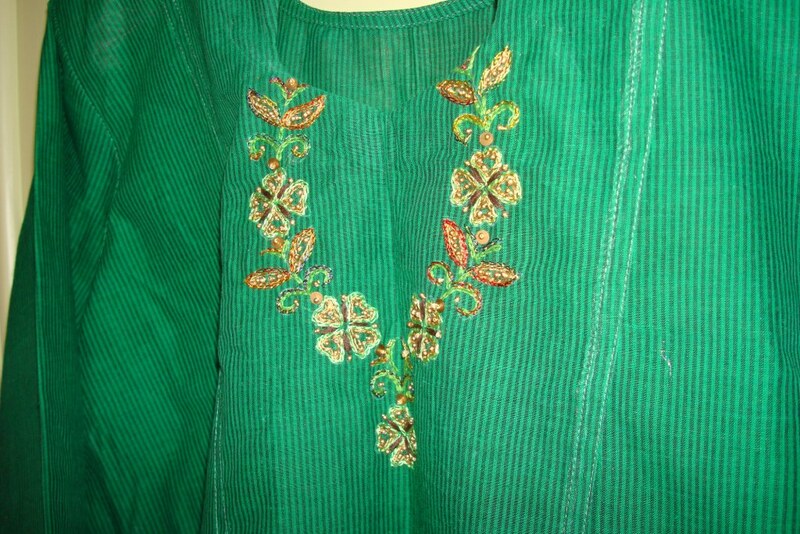 Shades of green were worked with cotton skein and metallic thread. 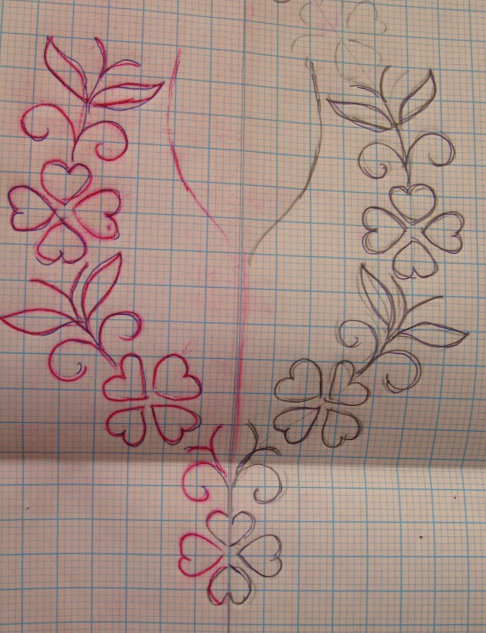 And now chain stitches were worked in light green thread on the florals on the pattern. 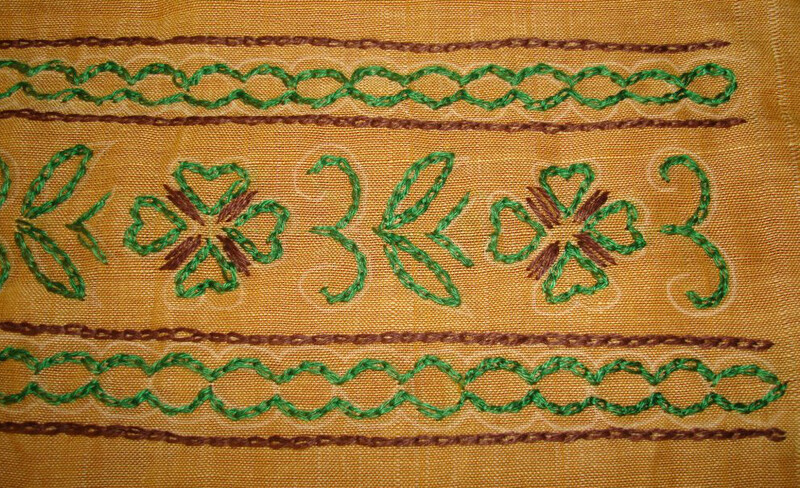 Completed with light green thread. Small antique gold beads were added on the beads and florals. 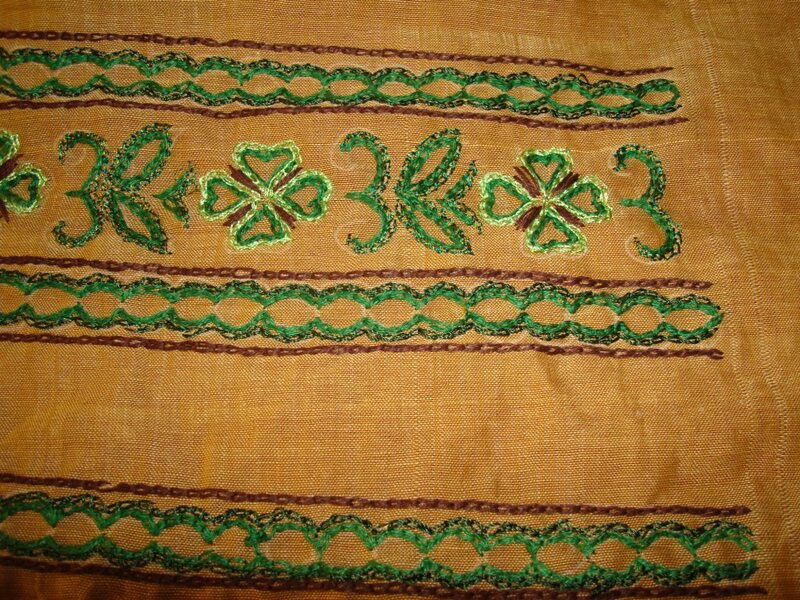 After working the straight stitches and chain stitch lines with brown thread , the green on the tunic fabric was the next thread. 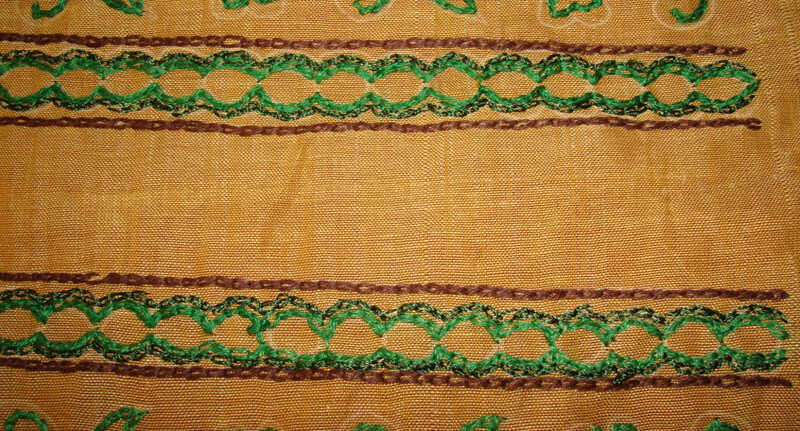 Chain stitches were worked with this thread. 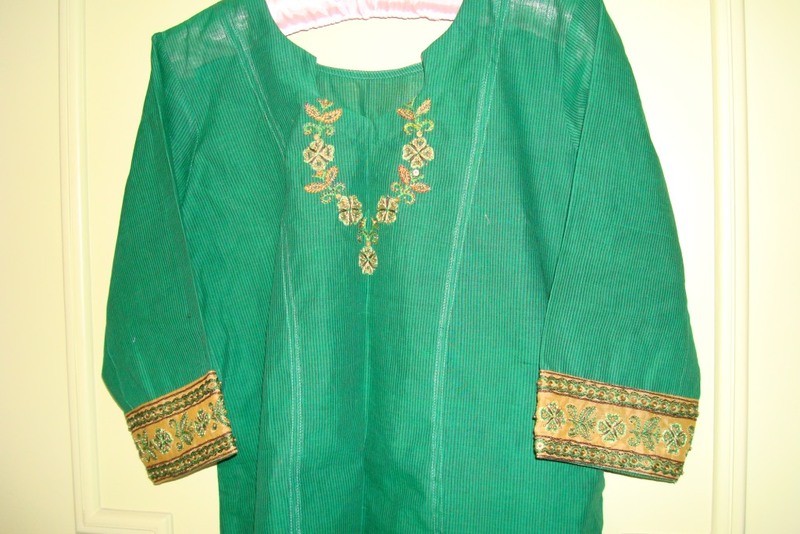 I had earlier worked a plain green tunic with zardoai work. I think I am fond of green and gold combination. 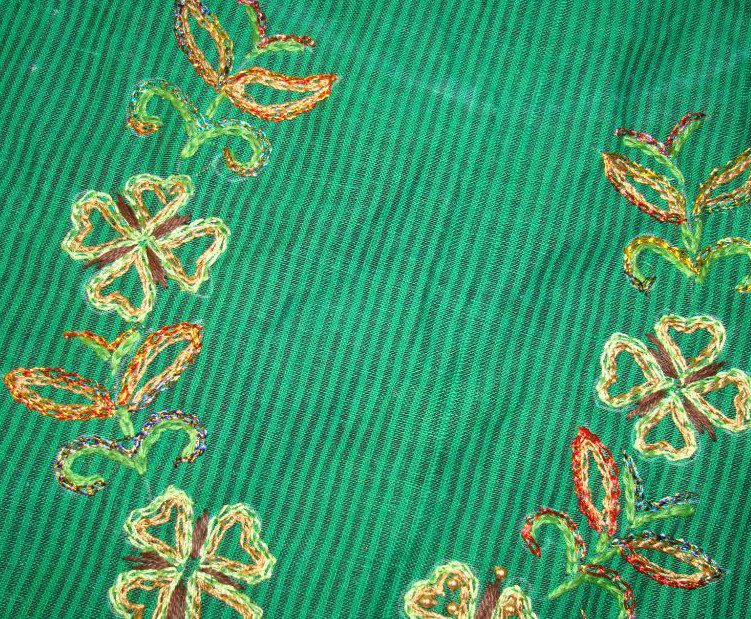 This green tunic fabric is mangalagiri cotton with stripes. 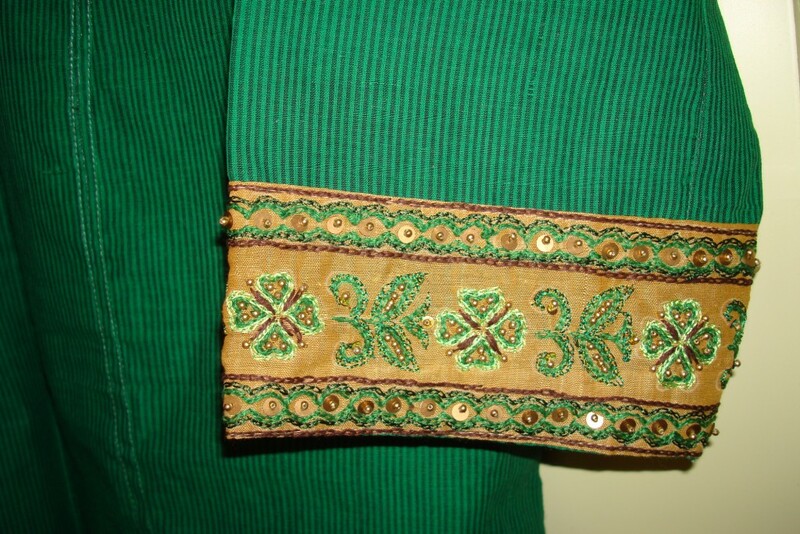 The idea was to work a separate border on a golden yellow fabric for the sleeves and a small yoke pattern on the tunic. Chain stitches were used throughout this project. Antique gold beads and sequins were used. Threads were anchor cotton skeins and metallic. The width of the borders was 8cms. 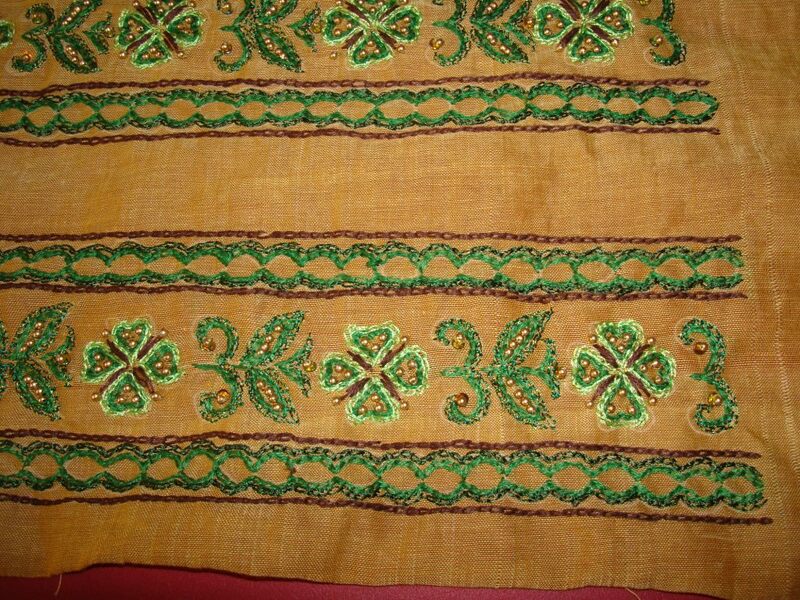 Since this work was done on yellow fabric, the colours used were brown and green[s].starting with the dark brown colour. 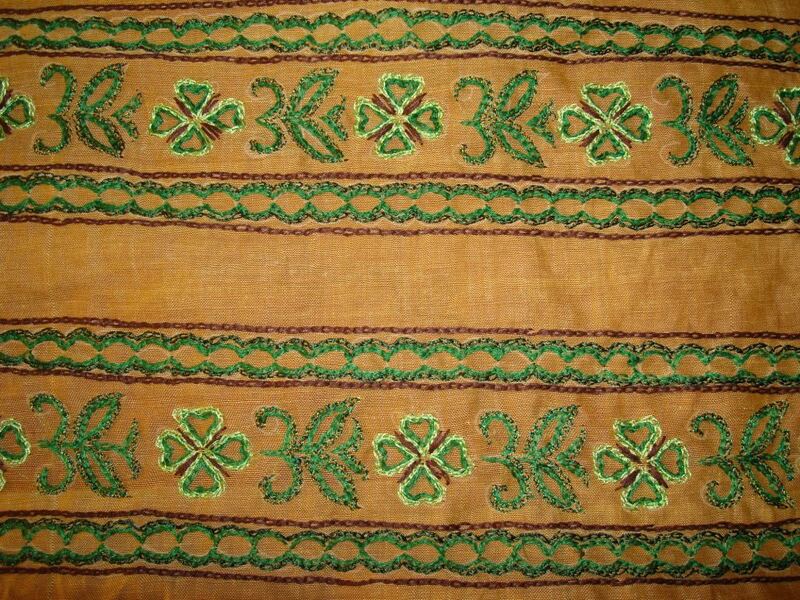 This was the colour of the stripes on the tunic fabric.